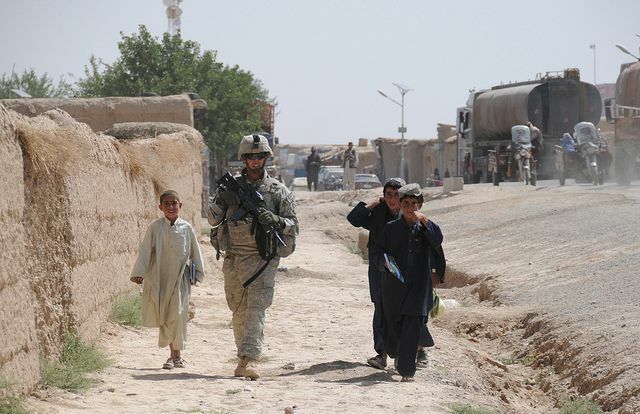 Afghan children walk alongside US Army Spc. Steven London, from 2nd Platoon, Delta Company, 1st Battalion, 4th Infantry Regiment, U.S. Army Europe, during a patrol outside Combat Outpost Sangar in Zabul province, Afghanistan, on June 27, 2010. Photo via the US Army by Spc. Eric Cabral, U.S. Army.